April 23, 2017: SSPF today announces India’s largest grassroots school sports tournament SCHOOLS INDIA CUP 2017 in 5 different sports. In its 2nd season SSPF is all set to go ahead with three new sports i.e. Volleyball, Basketball, Athletics along with Cricket and Football. This is for the first time that a sports competition or tournament is being organized on a national level. As compared to the 1st season the number of schools participating this year is almost double which is near 4 thousand schools from different states and districts of the country. To encourage such participation of schools and children SSPF came up with a National tournament of every sport under its National Talent Search and Nurture Program. “We are committed to serve the nation and sports is one of the medium where we need to emphasis so that we can bring glory to the country on International sports arena.” Said SSPF chairman Om Pathak. “We are proud to announce a nationwide sports tournament Schools India Cup to be played in 5 different sports under SSPF.” He said. 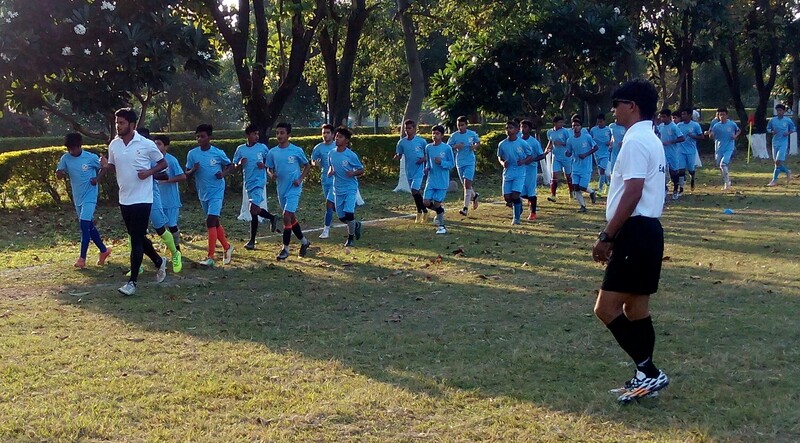 Former Indian Footballer Renedy Singh who is associated with SSPF as a secretary of SSPF National Football Council said “conducting such kind to structured sports tournament across the country will further strengthen the commitment of SSPF to produce more young talents who will represent India on International platform”. The NTSN 2016-17 competitions are slated to start in two phases this year- January & April 2017. In the first phase districts which have completed 8 or more school teams have played. Rest of the districts will play in the second phase of the tournament will start by the end of the April 2017 in all the above mentioned 5 sports. Next story An Open Letter To Raj Kishore Mahto, Midfielder, Jharkhand, SSPF National Football Team 2016 ! !